To learn about enrollment for September 2019, please contact Lisa Cheney at preschool@hwschools.net or call 978-458-5489. To be eligible you must reside in Hamilton-Wenham and your child must turn 3 by Sept. 1, 2019. Preschool Application Forms for 2019-2020 school year are due to the Winthrop School front office (325 Bay Road, Hamilton, MA 01982) by Friday, December 14, 2018. Screenings will take place on Friday, January 11, 2019 and Friday, January 18, 2019. We will contact you with your screening time slot by Friday, December 21, 2018. If you register after 12/14/18 you will be placed on a waiting list. Peer selection will be conducted and offers will be mailed home during the last week of January. The process was delayed because of snow cancellations and rescheduled screenings. We consider the gender, age and developmental needs of our students as we aim for balanced classrooms. Priority is given to returning students and those families interested in a 5 day per week program. If an offer is made to your child, the parent response and a deposit of $500 is due to the Hamilton-­‐Wenham Regional School District at a date that is still to be announced. It is to secure your child’s enrollment starting in September of 2019. If you accept a spot and pay a $500. deposit, you must officially register with the Hamilton-Wenham RSD at Central Office, 5 School St, Wenham, MA. Your child will not be allowed to attend school until the registration packet is complete. If you apply late or if applications exceed enrollment capacity, your child will be placed on a Waiting List. After April 1, 2019, we will contact families on the Waiting List as openings become available. Sorting tray in Ms. Dagley's classroom. 8:30am to 1:30pm (includes lunch bunch). Classes follow the HWRSD elementary calendar, including 12:30pm dismissal each Wednesday. Although we try to honor requests, priority is given to returning peers and families interested in 5 days. Contact: Lisa Cheney, Pre-School Coordinator, at 978-468-5489 or preschool@hwschools.net. At any time, if you have concerns about your child's development, please call Maureen Smith, Elementary Special Education Coordinator, at 978-626-0909. Ms. Dagley's classroom. 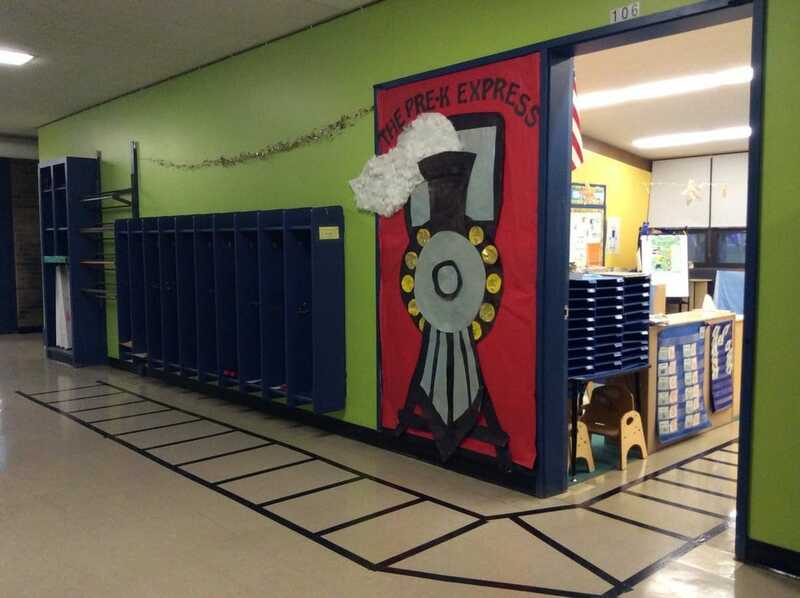 All aboard the Pre-K Express! Diorama in Ms. Moore's classroom.